When you first see your dorm room on move in day, you're going to think it's a little bland and needs some help both in the style department and overall functionality. You probably noticed there were scratches and maybe even water rings on your dorm dresser and dorm desk when you walked into your room. A dorm essential that will add great style and protect you from hefty fines is simple- college shelf liners. You don't want to start college without dorm shelf liners to line not only the insides of your dorm dresser and desk drawers, you will also want to line the tops of your dresser and desk. College shelf liners are an easy way to line the tops of your college provided dorm items because you can simply change them up whenever you feel like it! You can change your dorm shelf liners with the season or holiday or just because you want some fresh style to add to your dorm room decor! 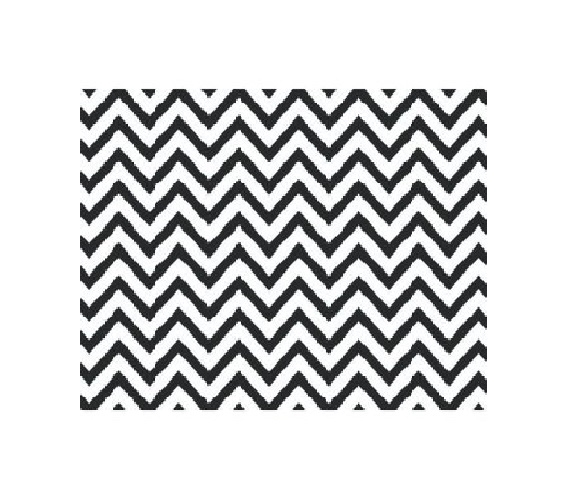 Our Grip Print Shelf Liner in Chevron Black is a dorm essential for the tops of your dorm dresser and dorm desk- see those water rings and scratches? You can prevent causing more of those with our Grip Print Shelf Liner in Chevron Black! The great thing about dorm shelf liners is they protect the surface they are covering from stains and are washable and stain resistant themselves. These simple protective measures will save you damage fines at the end of the year! Plus in a black and white Chevron print, they will add a simple pop of color to your dorm room decor that will be easy to mix and match with your other college decorations!